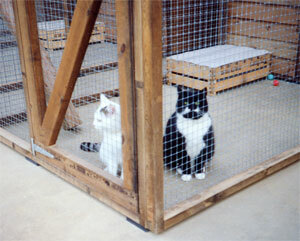 Be assured that your cat will be content, safe and secure at Knuston Boarding Cattery, which is built to the Feline Advisory Bureau (FAB) standard and licenced under the Animal Boarding Establishment Act of 1963. 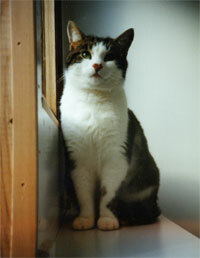 The proprietor Mrs Elisabeth Hahn has been fully trained at the Feline Advisory Bureau (FAB) training centre. Knuston Boarding Cattery has been constructed and is continually managed to meet the highest standards of hygiene and cat health care. 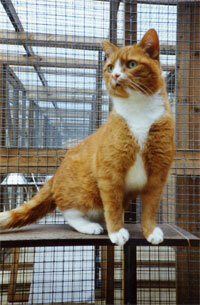 All cats are housed in spacious individually heated separate chalets with a window and internal window shelf. Each has its own adjoining covered exercise area with a sunning shelf and scratching log. All are outward facing onto a wildlife garden. 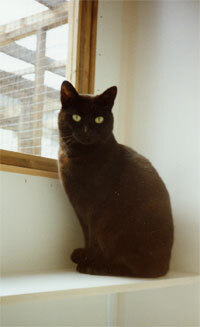 Owners are welcome to bring the cat's favourite toys and bed to facilitate settling in. 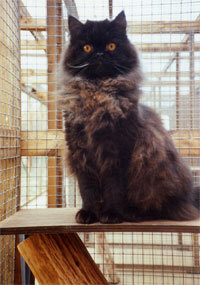 Individual cat diets are fully catered for and prepared in hygienic conditions. Additional attention is given to elderly cats, kittens and those pets with special needs such as diabetic cats and disabled cats. To protect the well being of all our guests all cats must be fully vaccinated and an up to date vaccination certificate must be produced. On arrival all cats are examined. Any treatment, including Insulin injections, prescribed by a veterinary surgeon prior to boarding can be continued during the cat's stay. 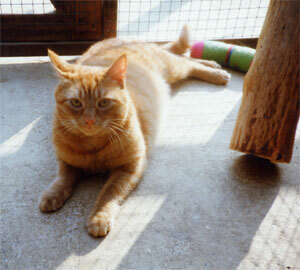 Should it be necessary Veterinary attendance is assured. Knuston Boarding Cattery is situated in a well positioned rural setting, is conveniently open to boarders 365 days of the year and can offer a door to door delivery and collection service if required.